Marigold, Corn, Squash, Celery, Strawberry, Cucumber and Potatoes. 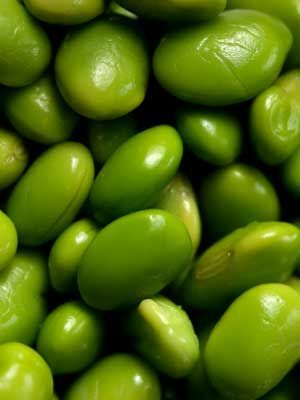 Edamame are very easy to grow, especially in warm climates. Extra seeds make a good short-term summer cover crop. Gather pods when they feel well filled with seeds, but are still bright green. Most varieties produce all at once. Japanese beetles sometimes feed on leaves. Gather them in broad containers of soapy water in the cool of the morning.